In your quest to become a Certified Nursing Assistant, you might already be versed in the technical requirements. You know that training and certification is mandatory to work in licensed long-term care facilities. You’re familiar with the salary and the job outlook in your area. You might be up to speed on the content of the CNA program. But do you know the essential traits that will make for a satisfying career as a nurse’s aide? A desire to care for others is a good start, but there are other specific qualities that you must have to stay on track. 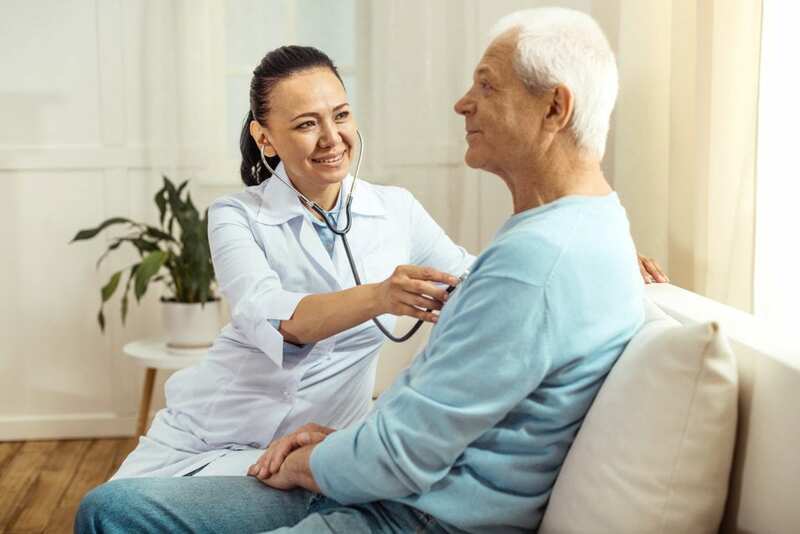 Sound knowledge of basic nursing principles, the laws and ethical concepts that govern practice, and how to provide personal care without violating patients’ rights and independence is essential to success. Fortunately, the CNA class will cover both the basic knowledge and practical skills you’ll need to flourish in a health care environment. Beyond this, you must be able to communicate information accurately in verbal and written formats, listen and follow directives, and pay attention to patients when they speak. If you’re not naturally observant, the nurse aide training will impress the need to monitor patients and observe minute details. You’ll learn specific things that should grasp your attention and raise concern. Patients’ lives depend on your ability to observe and report. There are some inherent traits you cannot learn in a CNA program. Compassion and empathy go hand in hand. These traits will help you to provide non-judgmental care, placing yourself in the position of the patient and providing the things needed to improve health and well-being. Columbine Health Systems facilitates a nursing assistant program to equip adults with the skills to provide direct patient care. The curriculum includes classroom instruction, lab, and clinical experiences. Instruction covers restorative services, patient care, safety, basic nursing assistant procedures, mental health, patient rights, family interactions, vital signs, infection control and other vital topics. CHS offers extended lab hours to aid students’ success. Full-time day, evening, weekends, and half-day schedules are available. Full-time classes meet Monday through Friday from 9:00 am to 5:00 pm. Part-time classes meet Monday through Friday from 6:00 pm to 10:00 pm for nine weeks. Weekend classes meet Fridays and Saturdays from 9:00 am to 5:00 pm for nine weeks. Interested persons can register up to three months before the beginning of each class. Tuition for the program is $880. It includes online payment processing fees. Students must budget additional funds for background screening, textbook, and the state test. Students must also purchase appropriate attire for clinical days. These include close-toed shoes, name tag, gait belt, and green scrubs. Aims Community College prepares nursing assistant students to care for patients or residents in acute or long-term care facilities. The 5-credit program includes classroom theory and clinical skills. Course topics include communication skills, basic nursing skills, restorative services, personal care, infection control, hospice care, emergency care, and hygiene. Other topics include legal and ethical issues, OSHA and HIPAA regulations, principles of asepsis, resident rights, mental health, and cultural sensitivity. The course is designed to be completed in one semester. Tuition per credit hour of in-district residents is $67.36. The nursing assistant program at Compass Nursing Arts offers several scheduling options. The traditional on-campus options meets from Monday through Friday from 8:15 pm to 2:00 pm for 10 sessions. The online hybrid option meets for 9 in-class sessions and 8.25 hours online. The power class covers the entire curriculum in just 7 sessions. All classes must meet for three mandatory clinical shifts: evening shifts meets from 2:00 pm to 10:00 pm and day shifts meet from 6:00 am to 2:00 pm. Tuition for the program is $980 and includes textbook, lab practice, and skills videos. The state certification test fee and background check fee are not included. Front Range Community College’s 75-hour Nurse Aide program offers the highest quality training for adults to become competent members of the health care team. Graduates will be eligible to take the Colorado State Certification exam to obtain employment as a CNA. They will earn 5 credits that may be transferred to another health care program. The duration of the program is one semester. Throughout the program, students will learn how to care for elderly patients and meet the special needs of this population. They will develop basic nursing skills to assist licensed nurses, physical and personal care skills, safety techniques to prevent injury, and critical thinking to apply the classroom knowledge in a clinical setting. Instructors will provide theory and practical training in safety protocols, nutrition, elimination, hydration, measuring and recording vital signs, therapeutic procedures, communication skills, professionalism, and prevention of injury. Tuition costs $595 for Colorado residents but does not reflect the final costs. Students must purchase uniforms, gait belt, close-toed shoes, textbook, and pay for the health and background check requirements. Other providers offering CNA training in Fort Collins, CO.